Basement bar in our second daleview lane project. Just as we were wrapping up our first house on Daleview Lane, this house hit the market as needing some cosmetic updates. 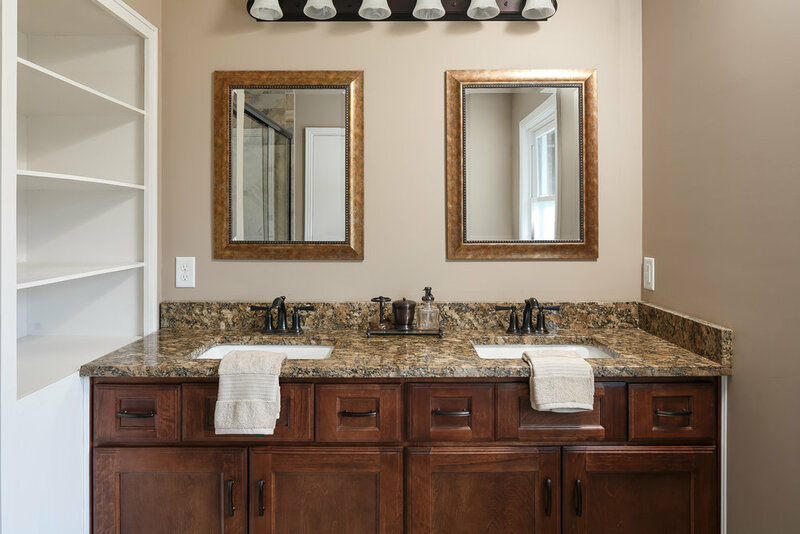 Our second renovation in the Springfield section of Rolling Fields, we purchased this property from its long-time owner, and set out to update the house to today’s styles and with the features today’s buyers want. This project was a large brick ranch on a corner lot, with 3 bedrooms and 2 baths on the main floor, and a finished walkout basement with a fourth bedroom, third full bath, and separate office and large workshop spaces – altogether over 4000 finished square feet. In addition, there was a huge brick bar in the entertainment area of the basement – perfect for game watching parties! There were a few non-cosmetic items to address, the biggest of which was the entrance situation. The driveway was at the rear of the property, and visitors had to walk around half of the perimeter to get to the front door. However, there was a side door to the den, much closer than the front door – but it was very obscure, almost hidden by overgrown bushes, and also didn’t have any sort of overhead cover. 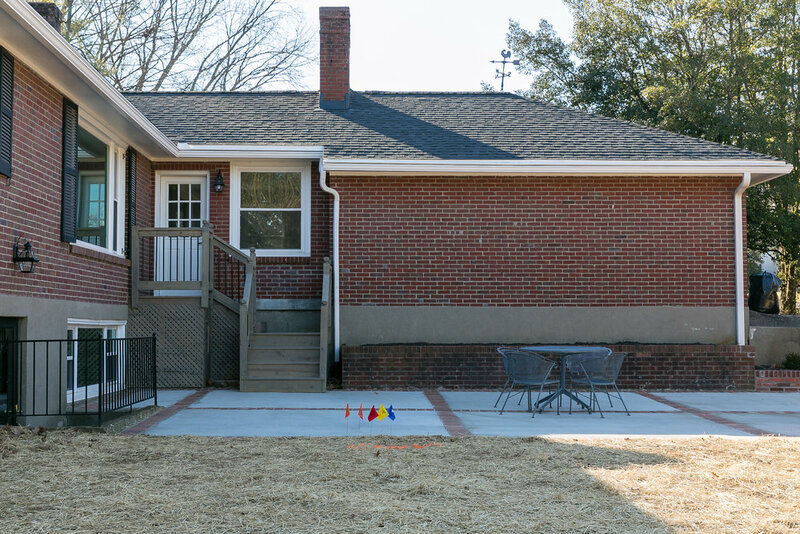 Since we needed to replace the entire roof (which was actually the first thing to get done) - we made plans to add a gable and a large concrete pad outside of this side entrance, to make it more inviting, and also to balance out the exterior appearance. We also knew we wanted to add an outdoor patio area of sorts - there was a small one, but we felt we had room to enlarge it and also make the access from the rear of the home more inviting. The rest of the updates (we thought) were cosmetic. More on that later. So, after all that was done and the house was all cleaned up, we listed it. And - it didn't sell. To make a long story short, we took a hard look at the feedback we were getting from buyers, and decided we needed to take the house off of the market and do more work to it. So we did. We believe in honesty - and we don't mind putting our mistakes out there, because we don't want there to be any doubt that we do things right. We listened to the feedback we were getting from the market, and reacted accordingly. In the end, we were proud to complete another quality remodel, and are thrilled that we were able to assist in bringing another caring family to this wonderful neighborhood.